Here are all of the McDonalds facts and statistics that you need to know including history, revenue, how many McDonald’s in the world and much more. As always, I will be adding more and updating these periodically as I find new stuff. Be sure to check back regularly. McDonald’s started modestly with two bothers from Manchester, New Hampshire heading out to California to start a small barbecue restaurant. Never could they have imagined that their humble business would turn into a staple of pop culture for generations globally with close to 37,000 locations across the globe. Of course, as most people know from the recent Docudrama “Founder,” the real jump start in McDonald’s growth in reach and footprint came in the mid-to-late 1950’s when a traveling salesman, Ray Kroc, convinced the McDonald brothers to replicate their fast food concept and system by selling franchises across the country. This was the true beginning of the McDonalds as we know it, but also the beginning of the end of the McDonald brothers’ involvement in their beloved restaurant. 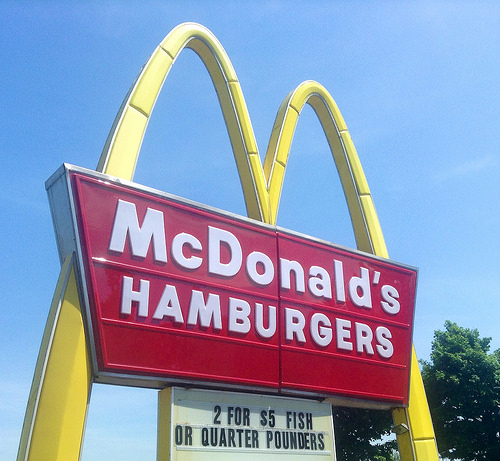 So just how big has McDonald’s become after all these years? It now has locations in over 100 countries and with a footprint that great, there is much to measure and quite a few McDonalds facts and stats to share. The first mascot for McDonald’s was a chef named Speedee. Willard Scott (yes THAT Willard Scott) played the original Ronald McDonald character. How many McDonald’s in the world?